Despite collecting more than Rs 150 crore at the box office, Race 3 has received much flak from the audience for bad acting to bad screenplay to hilarious songs. Even Salman Khan’s stardom didn’t manage to save this film from making it to among the worst films ever. 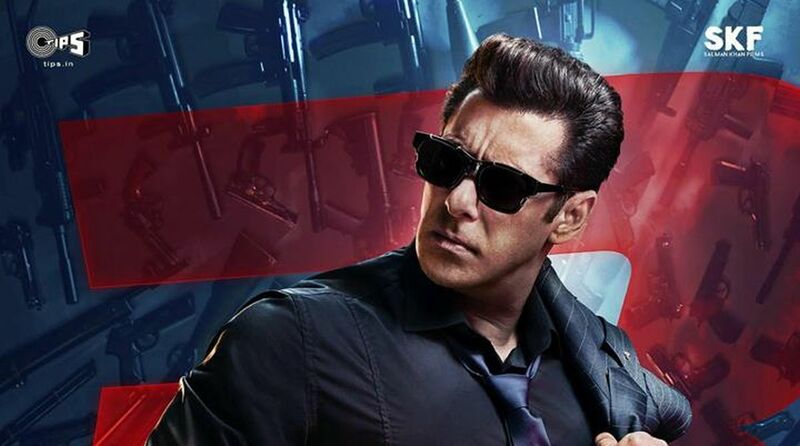 Race 3, starring an ensemble cast, opened to negative reviews and trolls, even some of Bhai’s staunch fans criticised the movie. Probably that’s why Salman posted a heartfelt message on his social media handles to thank everyone for watching his latest film and giving him another Eid superhit. However, scoring good numbers at the box office and still making to the list of worst films are two different things. Be it Hollywood or Bollywood, we have seen numerous films listed in the worst films section. Salman’s latest action thriller has now joined the likes of Tees Maar Khan and Drona in IMDB’s list of worst films ever. Bhaijaan’s Eid present to his fans was not as pleasant as many expected it to be. The film was expected to break all records and raise the bar for other films in 2018. Interestingly, at one point of time, the film did manage to set new records when it became the fastest film of 2018 to collect Rs 100 crore in just three days, after becoming biggest opener in 2018. However, once the extended weekend was done with, Salman’s film failed to pass the real test on weekdays as the film marginally dropped with each passing day. Apart from making multiple box office records, the film also managed to drop in yet another list. IMDB’s lowest rated films ever section (worldwide), where the film is ranked at 73rd position. As per report in Times Now, Race 3 has joined the likes of Ram Gopal Verma Ki Aag, Tees Maar Khan, Humshakals, Drona and Himmatwala. Nonetheless, the film emerged to be Salman’s 13th consecutive Rs 100-crore film and fourth film to gross Rs 100 crore in the opening weekend. Directed by Remo D’Souza, Race 3 also stars Anil Kapoor, Bobby Deol, Daisy Shah and Saqib Saleem and was released on June 15.